Before you start with PowerShell, you better have a look at John D. Cook‘s PowerShell Day 1 booklet. It will allow you to avoid the pitfalls we all stumbled into. Once you’re all settled the following two Internet links give excellent PowerShell overviews. And they’re both free ! For the actual books I start with the 2nd edition of the book of one of the PowerShell architects. 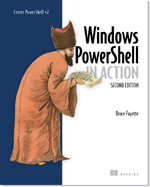 Bruce Payette‘s Windows PowerShell In Action, Second Edition should be on the desk of anyone who uses PowerShell regularly. 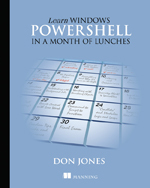 Don Jones published an excellent PowerShell study guide, called Learn Windows PowerShell in a Month of Lunches. 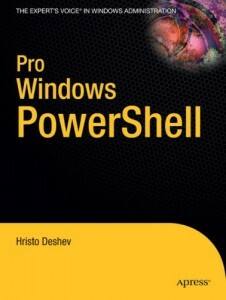 Another book I particularly like is Pro Windows PowerShell from Hristo Deshev. If you don’t want to re-invent the wheel each time you write a script it’s handy to have a look in Lee Holmes‘ Windows PowerShell Cookbook before you start coding. The book is currently in it’s 2nd edition. When you’re serious about PowerCLI you can’t do without Hal Rottenberg‘s Managing VMware Infrastructure with Windows PowerShell TFM. And although not written for the latest PowerCLI build, this is still the best introduction available. 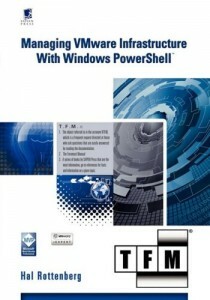 Since March 2011 there is a 2nd PowerCLI book on the market. I had the pleasure of co-authoring this book with Alan Renouf, Glenn Sizemore, Arnim Van Lieshout and Jonathan Medd. 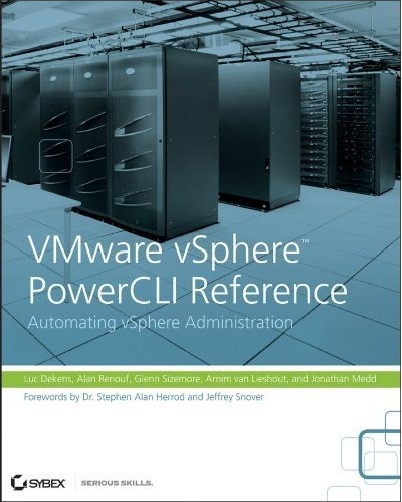 The book, called VMware vSphere PowerCLI Reference: Automating vSphere Administration, shows how to manage every aspect of your vSphere environment with PowerCLI. We set up a website and forum for book-related news and questions. When you want to use the vSphere SDK in your PowerCLI scripts, there is the online VMware vSphere API Reference Documentation. If you want to go one step further, I strongly advise to buy Steve Jin‘s VMware VI and vSphere SDK: Managing the VMware Infrastructure and vSphere. And although the book is targetted at a Java audience, there’s lots of knowledge to be learned from the book for the PowerCLI scripter as well. For PowerCLI news, useful scripts and tips visit the vSphere PowerCLI Blog. For your day-to-day questions on PowerCLI you can use the PowerCLI Community. And then there are several user blog sites with PowerCLI content. A selection, again in no particular order. What do you have in your PowerShell/PowerCLI library that is not in here ? What should I definitely add to my library ? Thanks a lot for doing such a great knowledge sharing to the juniors like me. If we come across any issues in VMware if we google it for PowrCLI script it comes with your names and all those scripts are really awesome. The book which you wrote no words to explain it. It’s really very simple and suits for any situation and anybody can understand it. Thanks again. Thanks for those nice words, much appreciated. When are you going to update this list. It is missing your book and Windows PowerShell In Action now has a second edition. I haven’t read the second edition but it seems better then the first. 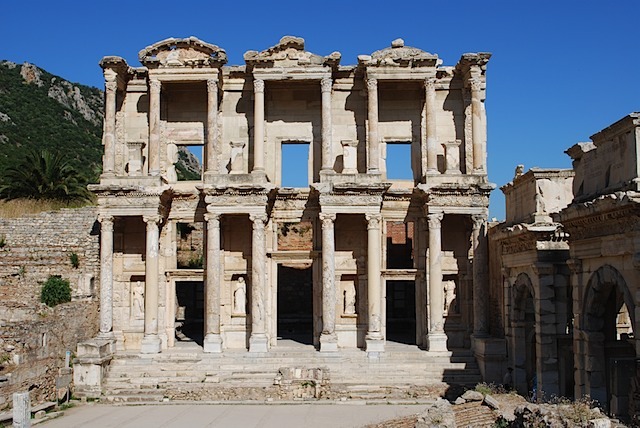 I like the picture of Ephesus library. Just went there this past summer, otherwise I would’ve been clueless. Great place to have seen, been there myself years ago. Have you also read one of the books on the VMware SDK ? Just wondered which one is best ? – Hold on, didnt you re-create the SDK one afternoon when you were bored ? Both books are not yet published (as of this writing), so I can’t really give any recommendations (yet). Looking at the Safari rough cuts they both look promising. I have placed pre-orders for both them ! But hey, I asked if my list was missing some entries.